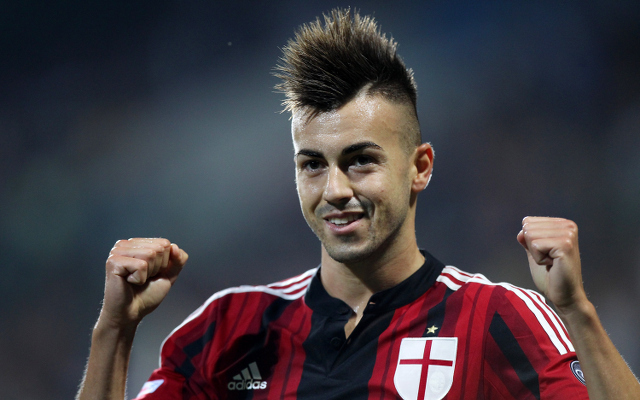 AC Milan forward Stephan El Shaarawy is on the brink of completing his move to AS Monaco, a move which may have repercussions in the Premier League. The Italy international had been linked with a move to Arsenal earlier in the summer, but the Gunners look set to miss out, with the Pharaoh expected to complete his medical imminently [Express]. Sky Sports Italia [via L’Equipe] understand that the primary medical will take place on Monday morning, before the more specific examinations—eye and dental tests—will happen in the afternoon. The player’s official unveiling is expected on Wednesday or Thursday, with the player expected to play no part in the friendly against Queens Park Rangers on Tuesday. “I am very happy, very serene,” he began, speaking to Sport Mediaset [via L’Equipe], “I still have a lot to do, because I had to take a decision in 24 hours and this wasn’t straightforward. The 22-year-old forward is coming off the back of an injury-plagued campaign, having managed only 18 outings in Serie A last term, scoring three goals and contributing three assists. According to La Gazzetta dello Sport [via Football Italia], the departure of the Italy international could have a domino effect. The move could see Milan move for Roma defender Alessio Romagnoli, although the Giallorossi are understood to want €30m for the 20-year-old central defender. Should Roma offload the highly-rated stopper, they may then use the windfall to snare Edin Dzeko. The capital club have been heavily linked to the Bosnian striker, and Sky Sport Italia [via Football Italia] understand that Manchester City would accept €15m for the forward, with the imminent arrival of Raheem Sterling increasing competition in the Citizens’ attack [BBC Sport].